It is mortal sin for me to skip breakfast. If I do, I turn into a monster. I felt that I cannot function too well. I easily get impatient. No matter how busy my lifestyle is, I make sure I get something for breakfast. After all, it is the most important meal of the day. There is no exaggeration. I know my body too well and I want to take care of it. I never skip breakfast. I grab even just a banana before leaving home - then I take time to grab something heavier before I start my day. I actually cannot remember that one time I skipped breakfast; and I cannot fathom how people can skip breakfast?! 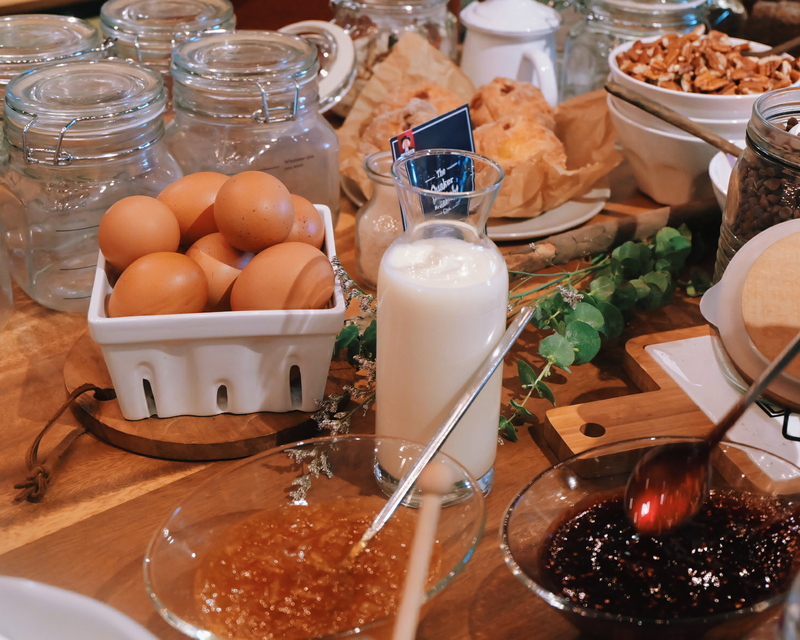 Side Story: Breakfast is one of my considerations when booking a hotel during travels. It doesn't have to be grand, at least something decent. I remember that one time when I skipped full breakfast because we needed to catch the sunrise at Angkor Wat. I had banana at 3 in the morning and we waited until 7 to get the best scene of the sunrise (watch Rodel Flordeliz 's vlog here) . At that point, I was already feeling my stomach :D But the place is so beautiful and the mood was just right - thankfully, our gracious host packed a breakfast set for us to enjoy while we explore the temples. 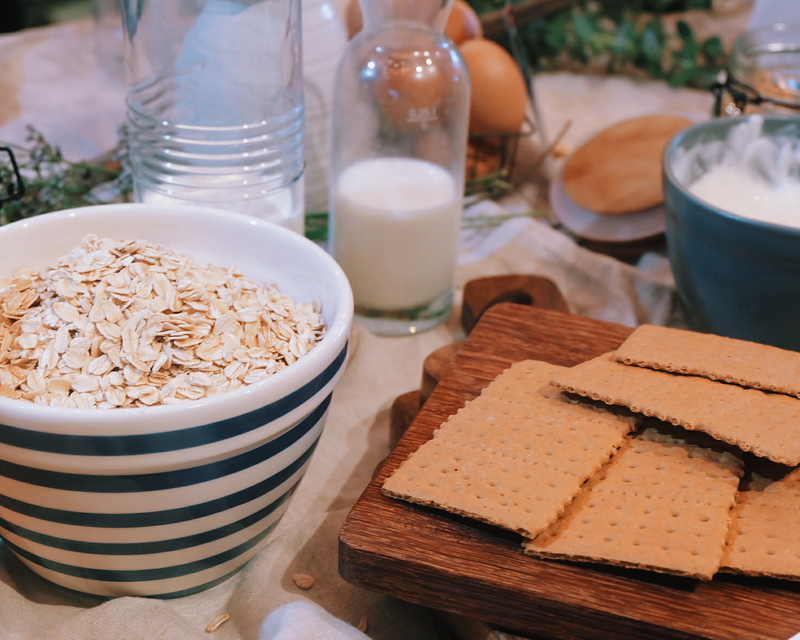 For those who have busy schedule and always on the go, eating oats is one of the most convenient and healthy way to start a day. 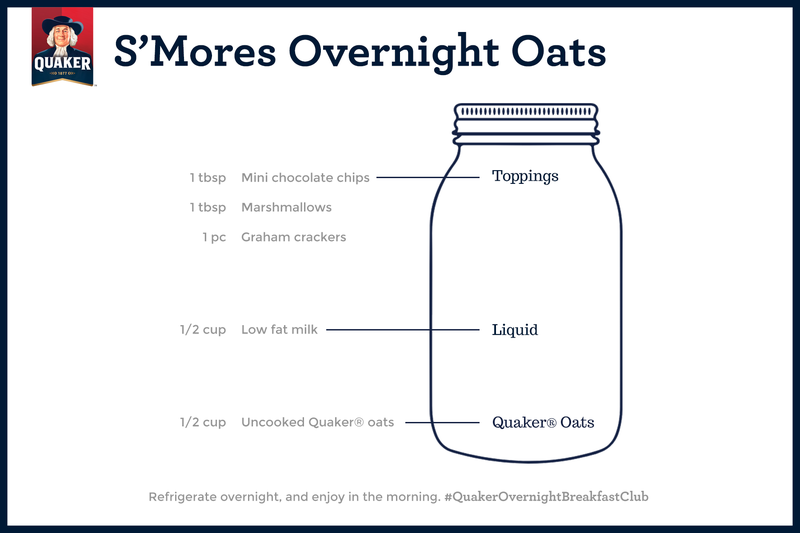 Just recently, I learned new tricks on how to enjoy Quaker Oats: overnight oats for breakfast. 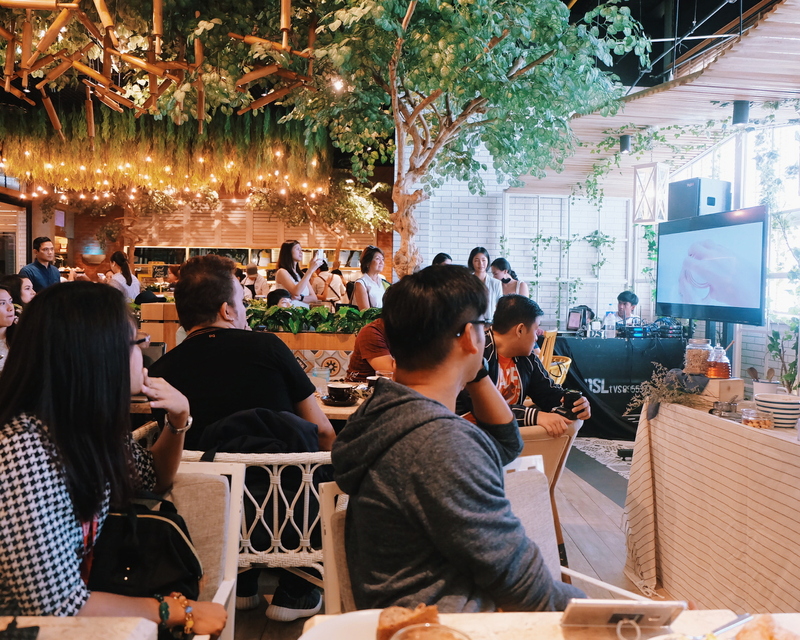 Inspiring healthy mornings and good nutrition is Quaker's own Quaker Overnight Breakfast Club led by Joyce Pring, vlogger friend Wil Dasovich, Patti Grandidge and Lauren Young. 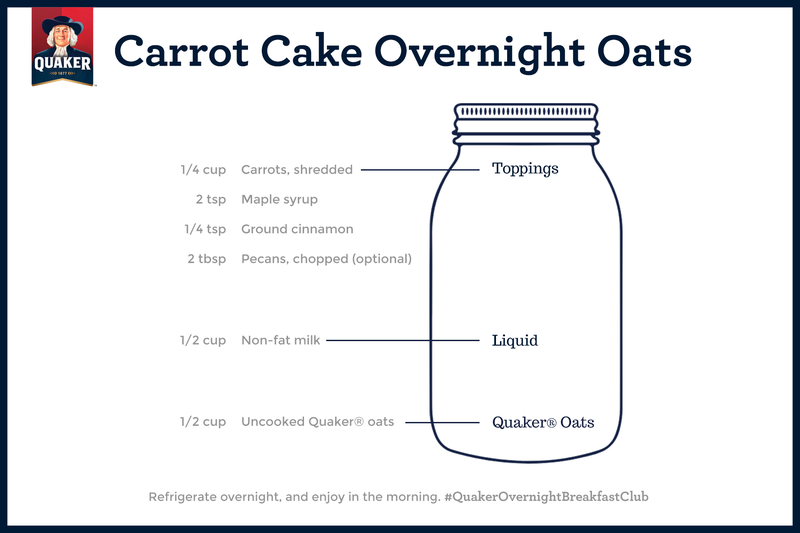 They shared their favorite Quaker Overnight Oats Club Recipes. 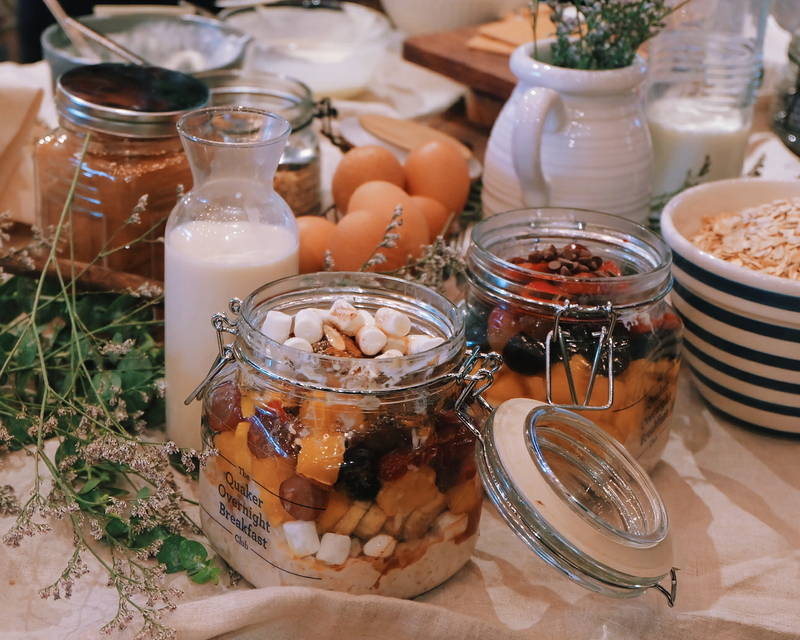 The trick is to prepare your breakfast the night before so that the following morning, you can just grab and go! 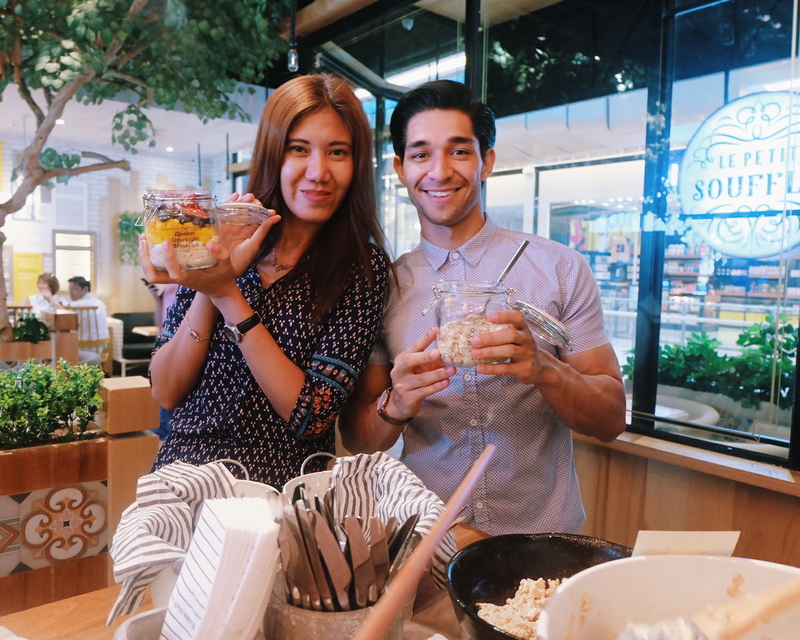 It was actually so easy as we tried to prepare our overnight breakfast on the spot! 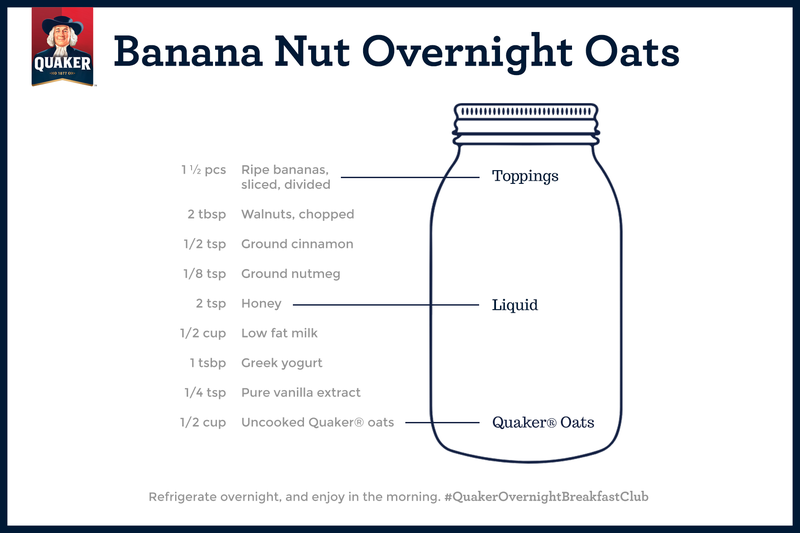 3 easy steps for overnight breakfast: (1) prepare your Quaker Oats (2) soak in milk (3) and add toppers (nuts, fruits or anything that you fancy). 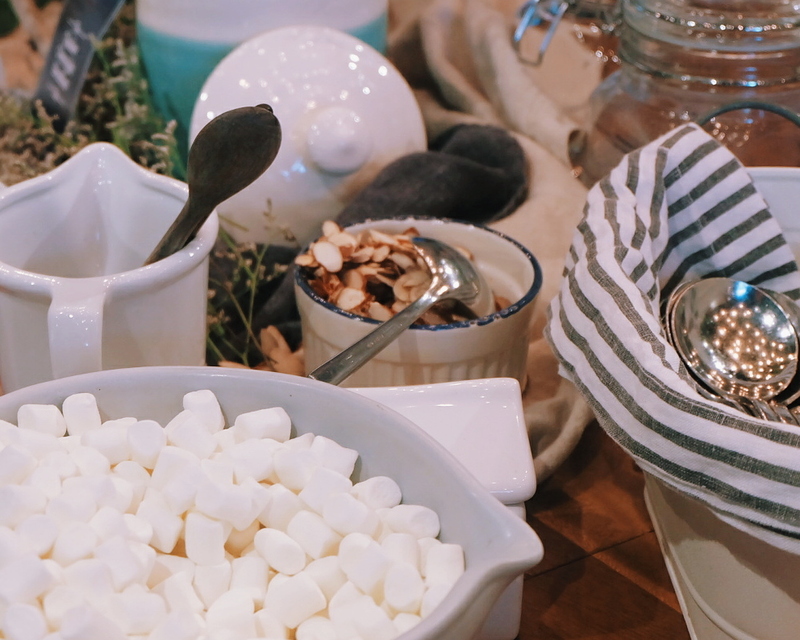 Here are some of the reasons why Overnight Oats is going to be a food trend! 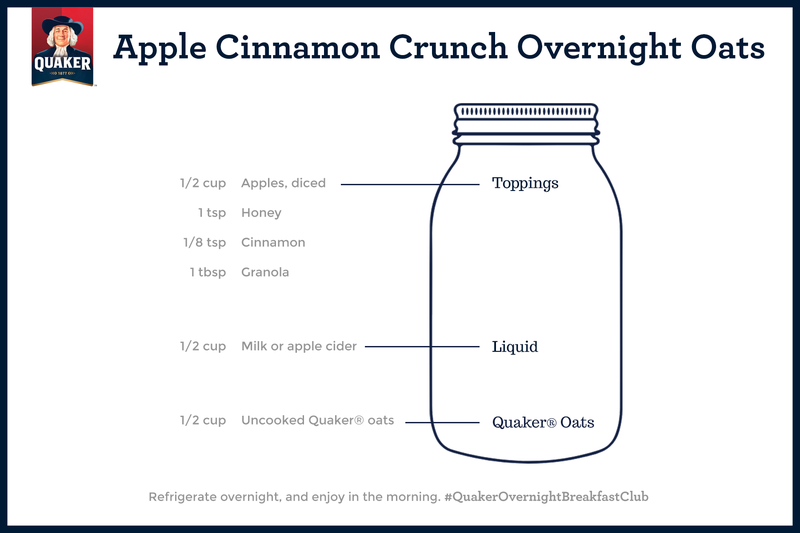 This jar of goodness can be prepared the night before. I layered @quakeroatsph , nuts, mallows (for texture 😂), and lots of mangoes and berries 🍓 and topped it with chocolate chips 🍫(don't deprive yourself) 😂 I skipped the syrups as the fruits served as sweeteners. 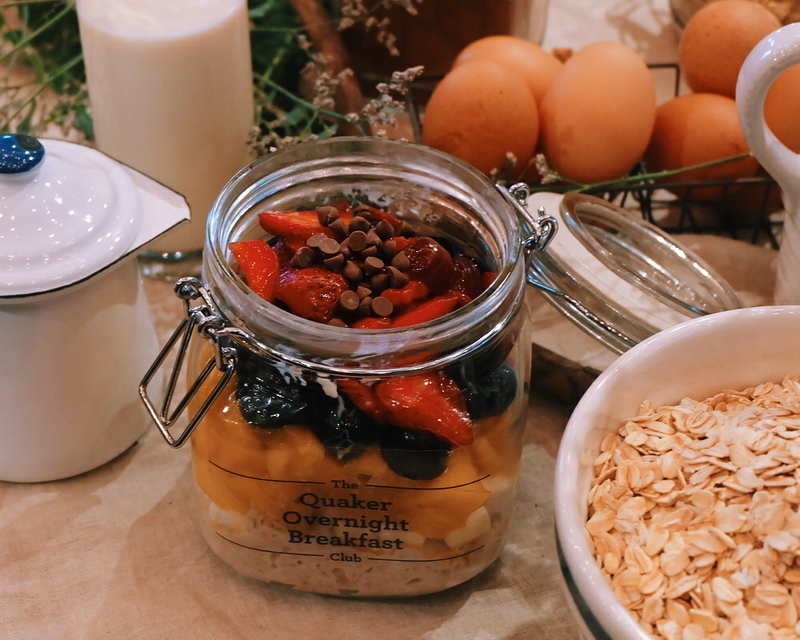 Tag me on your social media posts @ruthilicious when you make these healthy overnight breakfast oats! I know how Wil loves his breakfast. I got to travel with him in Coron (watch his vlog here) and he takes "Chibog Time" so seriously. So happy to see him inspiring more people to vlog and to stay healthy. 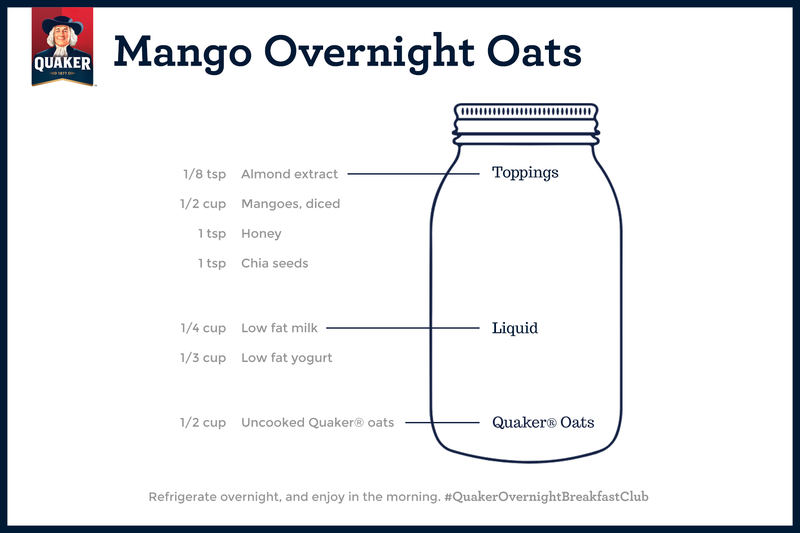 So excited to make new overnight breakfast oats at home! We always have Quaker Oats at home per mom's grocery list as she sometimes cooks Champorado using oats or eat it with milk. The joy of instant oats! 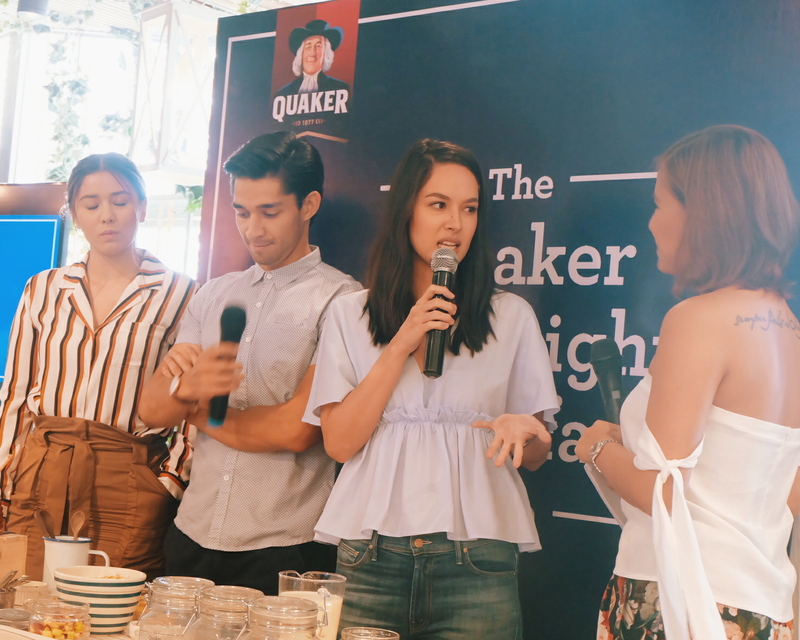 For more healthy morning inspirations follow Quaker’s Facebook page @QuakerOatsPhilippines or visit the website www.quakeroats.ph.